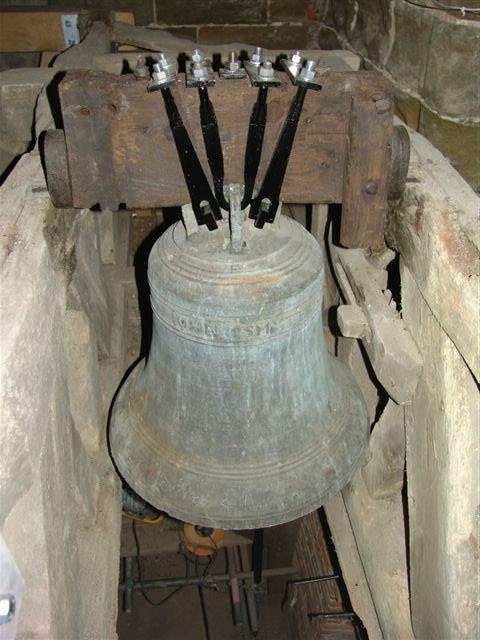 Our craftsmen and engineers have great expertise in carrying out conservation work with old bells, their fittings and bell frames. We often work with bodies such as English Heritage and The Churches Conservation Trust to preserve the best of our heritage so that it can be enjoyed by future generations. 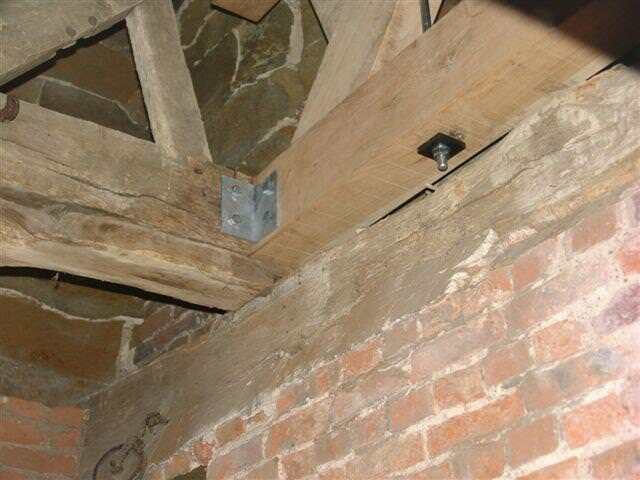 Strengthening an ancient timber bell frame in situ with a new galvanised steel grillage. 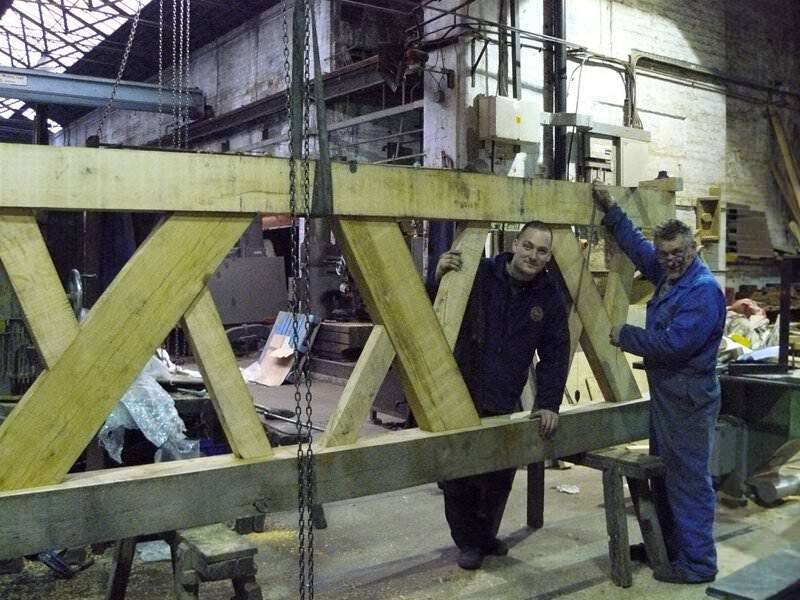 A new oak frame side frame constructed at Loughborough is inserted into the extisting frame by our engineers. 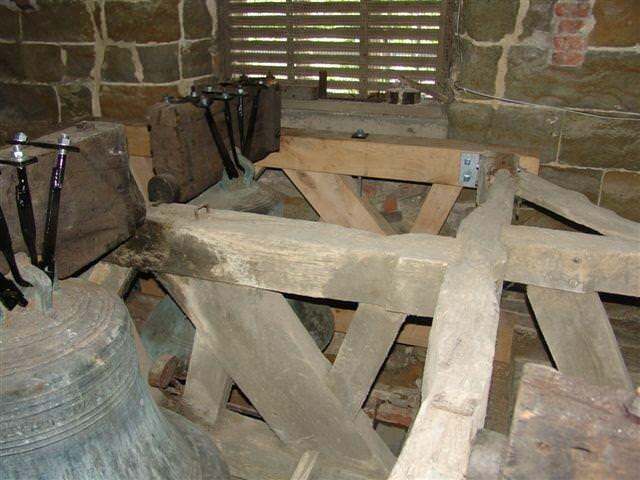 New iron strapwork manufactured at Taylor's now holds the bells on their ancient headstocks. 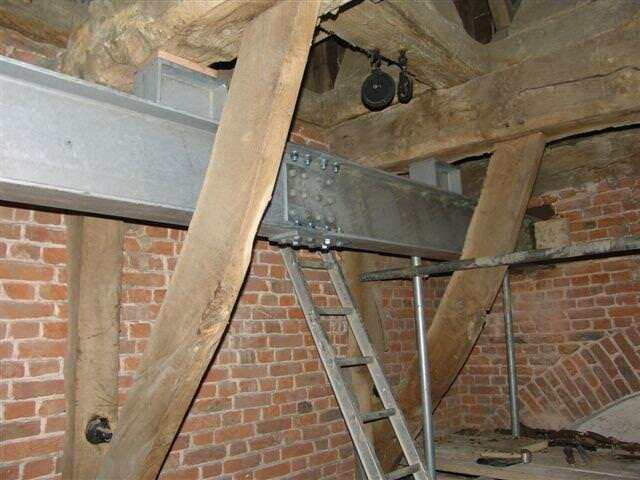 Stainless steel angle brackets and vertical tie rods are inserted to give extra rigidity to the ancient bell frame. Constructing a replacement frame side in oak copying an existing ancient frame both as part of a restoration and also to allow augmentation. 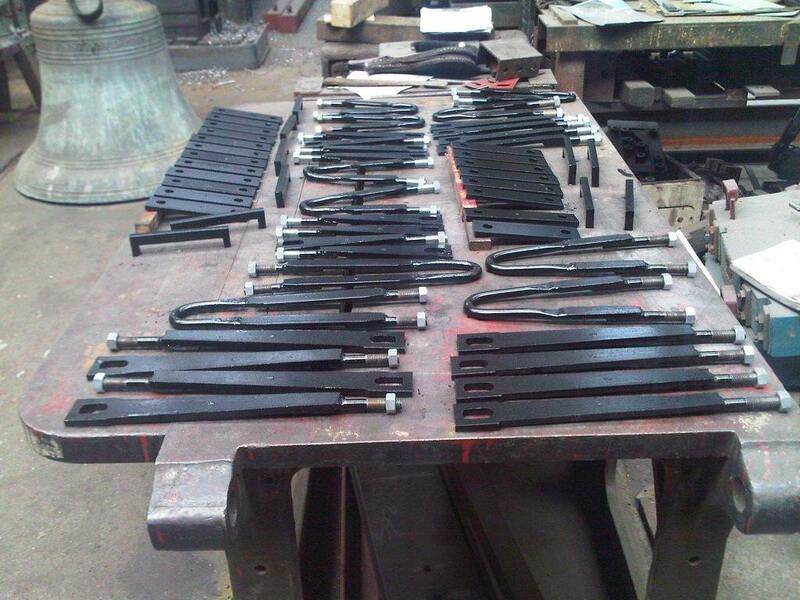 Manufacturing traditional iron strapwork for wooden headstocks is undertaken by our craftsmen.